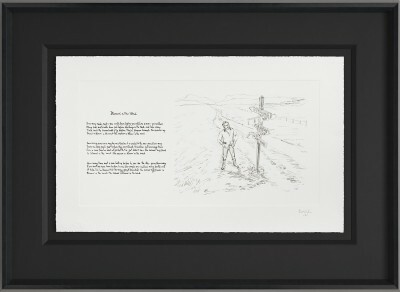 Blowin’ In The Wind, limited edition Mondo Scripto Bob Dylan art work. From the world renowned artist Bob Dylan comes his brand new collection, Mondo Scripto. 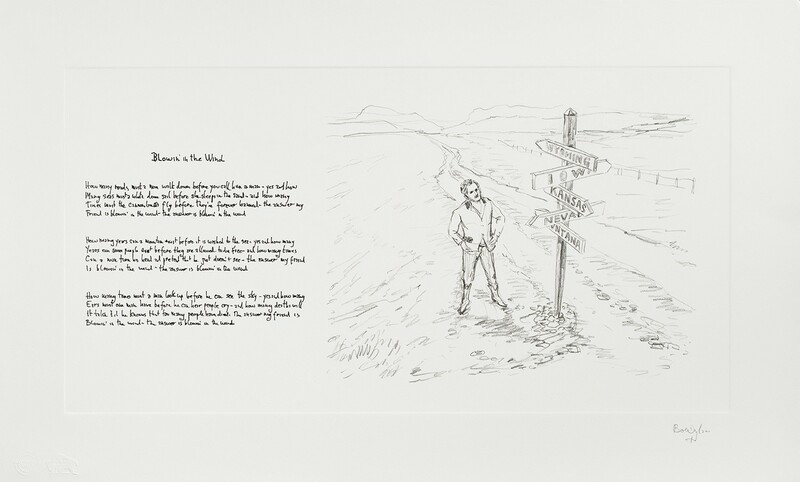 Blowin’ In The Wind includes handwritten lyrics by the iconic Bob Dylan, accompanied by his own pencil illustration. Written in 1962, this was the first of Dylan’s songs to gain wide recognition from an audience beyond the folk music world, largely because of the version recorded by the group Peter, Paul and Mary, which became a huge popular hit. The lyrics pivot on a series of questions aimed at the meaning of a human life in the context of a dangerous world and an unjust society. That the questions are never answered was an early clue as to what set Dylan apart from even his most talented contemporaries.